MesoCopper is a true colloidal copper mineral supplement. Gallon size jugs save 45% vs. the single bottle price. Mesocopper 0.9999 pure copper in colloidal form. 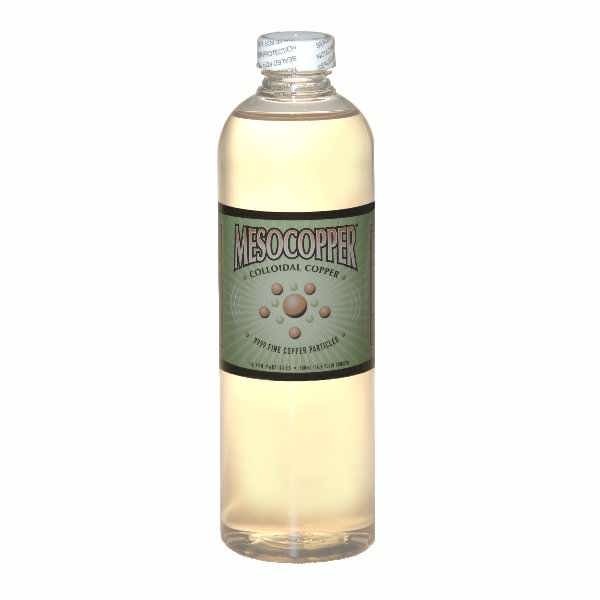 Mesocopper is an all natural mineral supplement in the form of a copper colloid consisting of nanometer particles of 0.9999 pure copper suspended in pure deionized water. Purest Colloids, Inc. is the exclusive worldwide producer of MesoCopper. Copper is tasteless - tastes like water. Mesocopper contains 10 parts-per-million (PPM) of copper nanoparticles. Mesocopper tastes like water. By comparison, colloidal copper produced by other techniques contains a substantial amount of copper ions in addition to the copper nanoparticles. Ionic copper has a particularly nasty taste which some find so objectionable they cannot ingest the product. Mesocopper is manufactured in an FDA registered facility, contains only pure water and pure copper and is non-toxic. See Material Safety Data Sheet (MSDS). Colloids made from non-noble metals such as copper have a limited shelf life, typically 4 to 6 months, once the bottle is opened. Air, which includes oxygen, enters the bottle when it is opened. The oxygen will cause the metal nanoparticles to slowly oxidize converting them into their ionic state. For this reason, it is best to purchase a bottle size that you would expect to consume in 4 months or less. 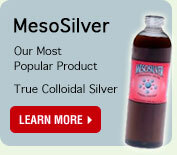 The dosage for Mesocopper is typically one tablespoon (15mL) daily to help maintain health. Up to three tablespoons per day may be taken to help fortify the immune system when needed. Actual dosage will vary based on individual needs. A 500 mL bottle will provide one months supply when used at a dosage of one tablespoon per day. Mesocopper is clear light greenish-yellow colored liquid. There is no noticeable turbidity (cloudiness).